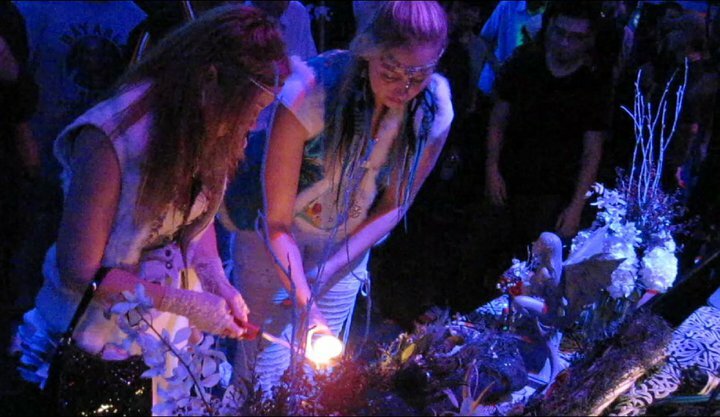 Being incarnate faeries servicing the light we’re naturally drawn to crystals and various types of spiritual items you’d find in most new age shops. So when we are out and about, if there is an occult shop, new age shop, crystal shop or trinket shop with faeries inside you can be sure we’ll find it. Because there are so many, and many of the magickal items we buy come from them, we thought it’d be best to break up the blog into the different cities we visit and to keep the list to include only our favorites. So stay tuned for more cities to come. We’ll also continue to review different shops we find online like White Magick Alchemy that Anne Elizabeth previously blogged about. We might even start to talk about our favorite places to buy faerie fashions but that’s for another time. 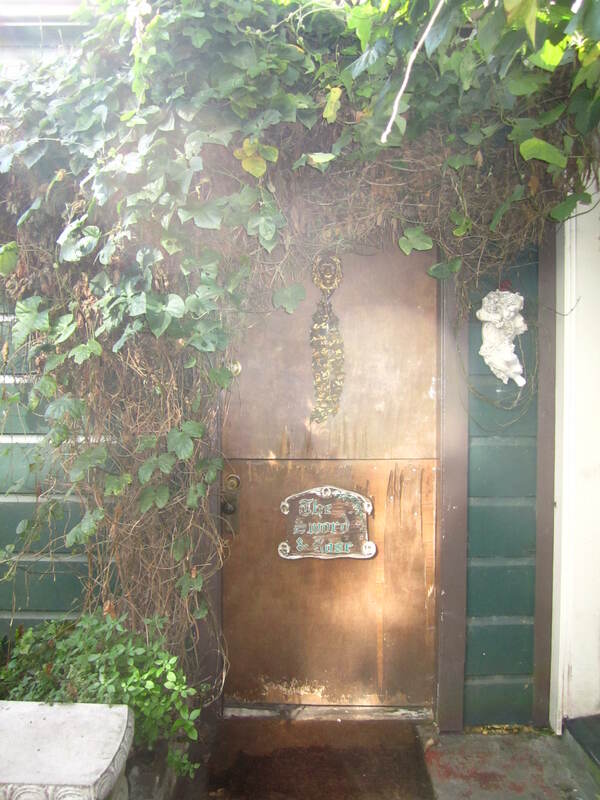 Today’s post is on some of our favorite magickal stores in San Francisco, CA. This occult store is true to its name because it’s the only one I’ve encountered that is truly in every word occult. And by that I mean it’s even hidden. It’s my favorite store and has been since I first stepped inside over 14 years ago. Back then even with the address and instructions on how to find it I had difficulty, but in the end had some help from a friend. I’ll always remember when I first walked into it because it was as enchanting as the description I had been given. It truly felt magical. When you enter through the gate you walk into a beautiful courtyard surrounded with bushes, vines and flowers. There is a fountain in the middle and small bench to sit on. In the far back is the store. It looks like a small enchanted hut. And the door is one of those doors cut in half where you can open the top separately. Inside its small, beautifully decorated with Egyptian paintings and has a very choice selection of items. There is small fireplace with comfortable chairs to sit in, and a beautiful altar on the left wall. On the right wall behind the counter are shelves of jars of incense and oils. Sword and the Rose is known for its special incense. The incense is made by the shop owners. It’s made as a sacred offering to the deity it’s named after. The owner has even traveled to each of the temples of the deities he makes the incense for. If you purchase incense at Sword and the Rose, remember it’s considered an offering to the deity you are working with, so get into consciousness and say a gratitude prayer as you light it. 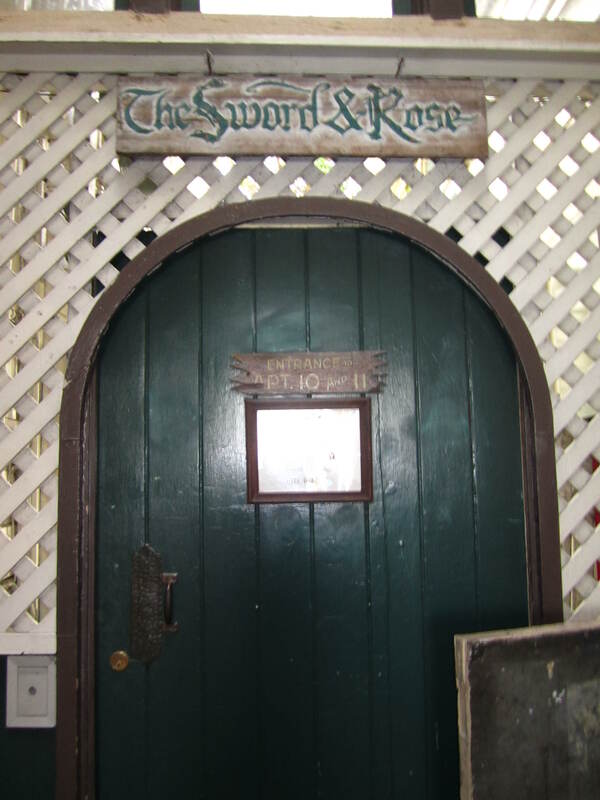 Sword and the Rose is located on Carl Street right off Cole Street. 85 Carl is through a walkway. There are stores on either side of the walkway and a door at the end. Sometimes it’s open, sometimes it’s not. The sign for the store is above it. You can walk through the doorway even if it’s shut. When you enter the courtyard, you will see the store in the very back. 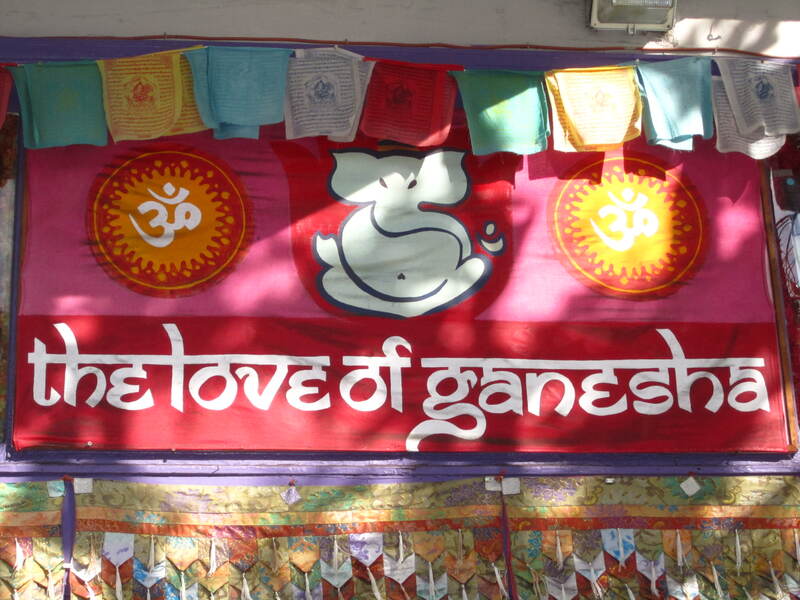 The Love of Ganesha is such a lovely store, and the women who work at it are equally as lovely. 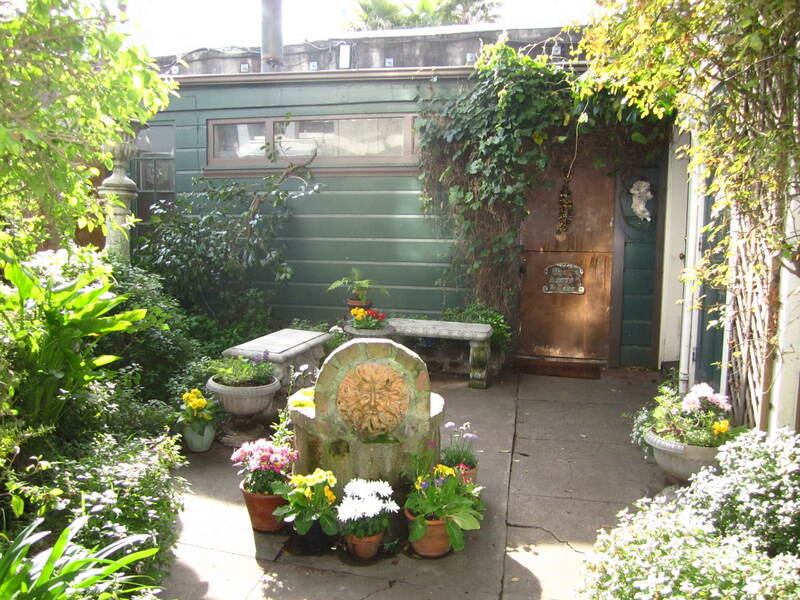 They are always so very welcoming, warm and sweet; offering you tea and cookies as soon as you enter. The Love of Ganesha contains everything from fun Indonesian clothing, bhindis and tapestries to crystals and incense. The store is always plentiful and packed full of items. Be sure to dig around, there’s lots to choose from. One of my favorite purchases here are our Balinese umbrellas. 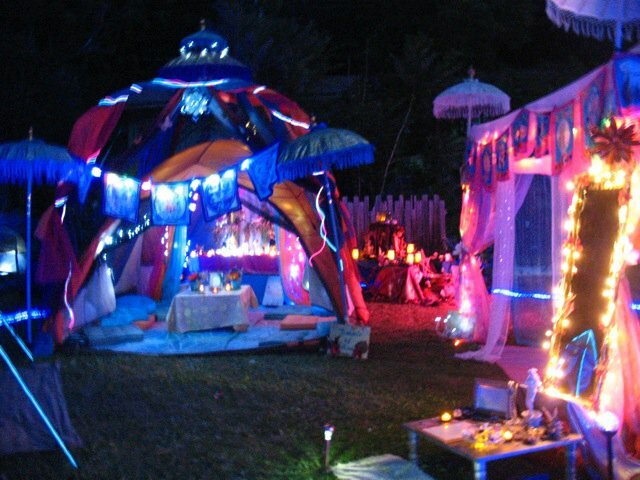 We use them for our faerie tents. Inside the store has a beautiful meditation room with altar that is open to the public. It’s at the back of the store on right. All the profits for The Love of Ganesha go to the Amma foundation.